All data held digitally is held on password protected PC’s and is encrypted. All data held digitally is stored locally on our secure server, also password protected and encrypted. All data held on paper is stored in secure cabinets and in offices that require a lock and key to enter. CCTV on the premises also monitors who enters the various buildings and at what times. Any information required to process payments such as BACs details or bank details. (we do not accept debit/credit card details nor do we store them). Tubes Scaffolding Oxford LTD only uses the supplied data to carry out a job or provide a quote. Details are never passed on to third parties or processed in any way that would be to our benefit. Tubes Scaffolding Oxford does not allow third party access of any kind, regarding customer data. All physical copies of quotes relating to a job are securely destroyed by shredding and incineration at the end of the financial year. If a quote becomes a job and is processed for payment, then any physical records are kept for a statuary period of 7 years. After this period physical data will be destroyed. As with Physical data, digital data is deleted after their statuary period has come to an end. Digital data that isn’t current is transferred to an external hard drive, encrypted and then removed from the PC and stored in a secure place. Once the statuary period has elapsed all the data is wiped and the hard drive itself destroyed. You have the right to ask for a copy of any of your personal Data held by Tubes Scaffolding (Oxford) Ltd (where such Data is held) on payment of a small fee, which will not exceed £50. 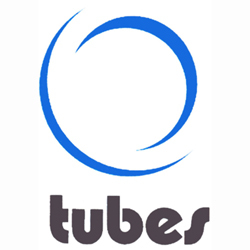 Tubes Scaffolding Oxford respects a customer’s right to have their records and data removed from our systems and will comply with all requests. To ensure all requested records are removed we will search though all digitally held records and any physical records held and remove them to be securely destroyed. Digital data is securely deleted, not just the registry link removed. Physical data is shredded and then disposed of in an incinerator for maximum assurance. All email records are automatically deleted after 30 days, any saved emails get stored in the jobs folder, which upon request to be removed would automatically include any emails. Tubes Scaffolding Oxford, understands your right to privacy. To support this, we will ensure the following. • No details provided to us will be passed on without prior permission from yourselves. • Any details provided will only be used to carry out the contracted job as requested. • The only people involved in discussing aspects about the contracted job will be yourselves and appropriate members of the management team. • The only details passed on beyond the managers will be the job’s location for erection/dismantling purposes. We ask our customers, if they have any privacy concerns to contact a member of our office team to put any suitable or additional measures in place.